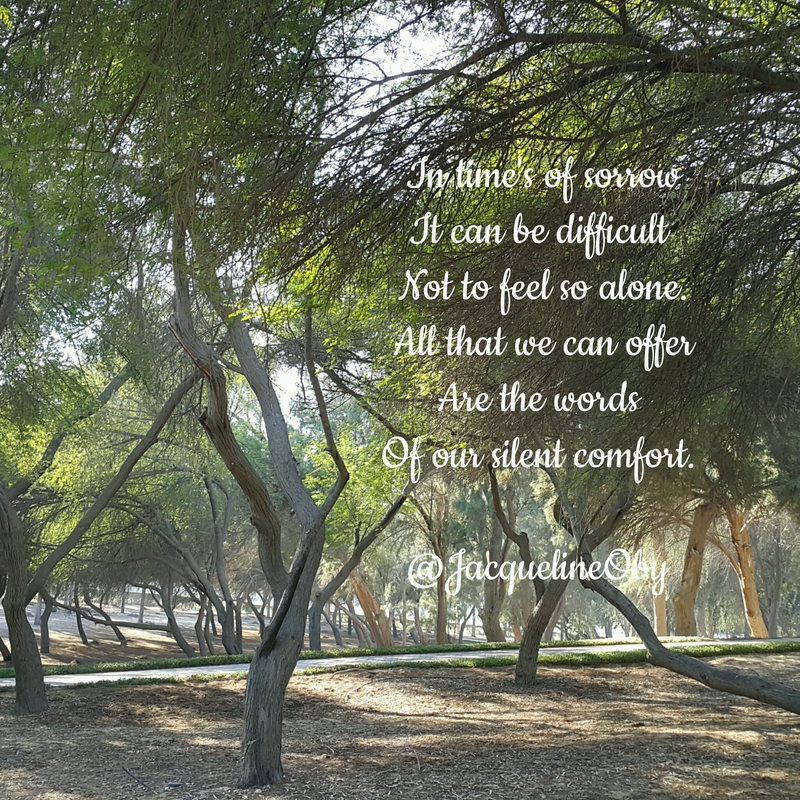 It’s an honour to share this poem with you, heartfelt, raw and beautifully written, by Jacqueline at A Cooking Pot Of Twisted Tales. But drop it you did. When you died in my arms. The poem above came to me when I read Lily’s heart rending post I don’t know her in real time. I only read her blog now and again. The broken pain of her heart reverberated in her words. How do you condole a woman just bereaved of her loving husband? Indeed, how do you condole any grieving heart that’s lost a loved one? Thank you Jen for the sharing. Just let me know when I can send in another one. Regards. You can send as many as you like, when you like Jacqueline! I’d love to share more of your work!